Growing in Grace Podcast: 570. 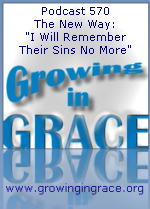 The New Way: "I Will Remember Their Sins No More"
570. The New Way: "I Will Remember Their Sins No More"
The ministry of the law from the Old Covenant given to Israel brought a sin consciousness and a constant reminder of sins. 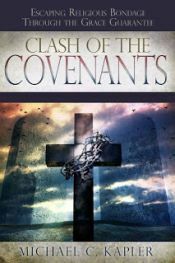 The New Covenant would contrast that, with sin being taken away by the blood of Jesus, so that God would remember sins no more. The old way was made obsolete after the sacrifice of Christ, and would begin to disappear in the lives of new Jewish believers as they would grow in their understanding of this finished work. Thank you Joel,and Kap for another encouraging growing in grace episode! keep up the good work, i need this!